We are calling on all our businesses & residents to stop and report illegal dumping. Although the City has a number of waste management strategies and services in place for dealing with all types of waste, we have a dumping problem in Cape Town. It is one of the biggest challenges the Solid Waste Management Department faces. It is expensive, damages our environment and is harmful to ourselves and our animals. Dumping on any public land is illegal and an offence: We work closely with SAPS in illegal dumping investigations. If you are found guilty of dumping illegally you could be fined between R500 and R10 000 and could get a prison sentence of 6 months to 2 years. To report illegal dumping in your community, call 0860 103 089. If you have the culprit’s vehicle registration number and/or can identify him/her, call 021 400 6157 or email solidwaste.bylaw@capetown.gov.za. 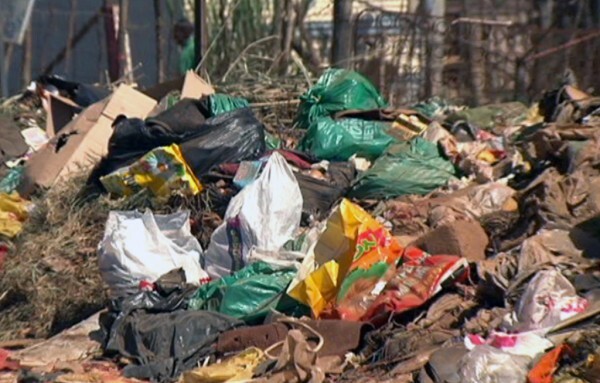 It costs the City R350 million every year to clean up illegal dumping. Cleaning up illegally dumped waste is about 20 times more expensive than collecting from individual wheelie bins, as specialised equipment like front-end loaders must be hired to remove the waste. Rubbish from littering blocks drains and stormwater canals, pollutes our waterways and can contaminate our drinking water. Waste pollution also harms plant and animal life by damaging their natural environments. Medical waste can spread infections and disease and illegally dumped toxic waste is a threat to our communities. Deaths could occur as a result. In 2013, three-year-old Jordan Lewis died after playing near illegally dumped chemical waste in Delft. Each month, the City attends to numerous blocked sewer systems and toilets and clears illegally dumped materials from open spaces. Between October and December 2014, the City attended to around 25 000 sewer blockages across the city. On a daily basis, the City also attends to the unblocking of full-flush toilets in informal settlements. Illegal dumping is extremely costly as the City spends approximately R350 million annually to clear waste from open spaces, sewer systems and toilets. Toilet blockages are also a problem throughout the metro where there are public toilets. Green waste bins have been placed near toilets in informal settlements and public toilets so that residents can dispose of waste properly. In 2014/2015 and 2015/2016, the City rolled out 929 bins in 24 informal settlements at a cost of approximately R753 000. Eventually these bins will be placed in all informal settlements where we are legally able to place them. Dispose of your waste only in bins and at approved drop-off or landfill sites. Buy additional waste bins if you need them. Make others aware of the importance of keeping our environment clean and litter free. Fence off your property to prevent others from dumping on it. Read more about our Green Litter Bin Education and Awareness Project for Informal Settlements.